Don’t forget to sign up for your FREE putting lesson! It promises to be a fun event! 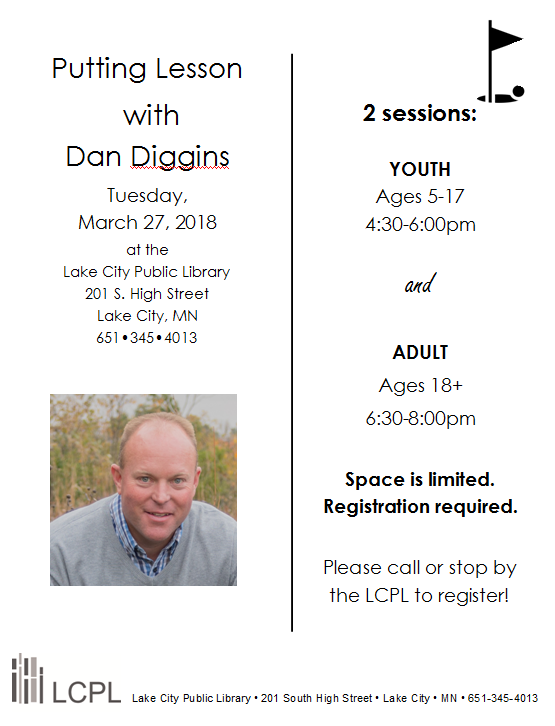 Stop by or call the Lake City Public Library at 651-345-4013 to reserve your spot.